On Saturday, March 29 the City of Saskatoon joined others from across Saskatoon and around the world to take part in Earth Hour, a global event to acknowledge the importance of environmental awareness and action, during and beyond the hour. Our collective efforts raise awareness of climate change and promote actions that conserve energy and help reduce GHG emissions. Celebrating and acknowledging these efforts is part of creating a more sustainable Saskatoon. To find out more about Earth Hour, and the many things you can do beyond the hour click here. Or contact the Environmental & Corporate Initiatives Division at environmental.services@saskatoon.ca or (306) 975-2487. Idea: Celebrate Human Achievement Hour instead! On Saturday night at 8:30 we always make it a priority to celebrate Human Achievement Hour! It's fun to collectively demonstrate our appreciation of God's gift of coal and petroleum - especially after such a long dark and unusually cold winter. We turn on everything in the house that uses electricity - lights, stereo, TV, heat and air conditioner. We offer warmth to random passers-by with an electric heater placed out on the front steps. It's also a good time to do the laundry and slow-roast a large prime rib. The outside Christmas lights add a cheerful touch. It’s important to realize though, that liberals and various other useful idiots will hate you for this. Your high-school teacher neighbor and his vegan children will be glaring contemptuously at you the next morning – but this alone will make it worth the effort! An engineer buddy of mine did the power calculations and discovered that just one household participating in Human Achievement Hour can cancel out the efforts of 12 or more other households of Earth Hour followers. In any given neighborhood there may be only a few who actually participate in this global warming propaganda exercise. Therefore only a handful of Human Achievement Hour celebrants in a city can actually increase the power consumption for that hour! Think of those Suzuki-disciple households - spending the hour wearing sweaters because the heats turned off - in the dark, huddled around a single candle, all solemn and self-righteous - and all for nothing! Not many opportunities in life for that kind of satisfaction. I will turn off the main power in our house and enjoy the beautiful silence by by candlelight. We are hoping for a clear night to appreciate the darkness by stargazing. We'll either be walking over to the U of S Observatory on Campus (open 8:30-10:00 on March 29th) or enjoying the skies from home. Credit Union Centre will be participating in Earth Hour by turing off all non essential lights and equipment. The most important being the Refrigeration Plant. An ice skating facility consumes a great deal of electrical energy during its normal operation. A typical community arena can consume between 600,000 and 2,000,000 kWh of electricity per year depending on the location, facility construction and operating profile. When you add demand charges and peak-load penalties to this, the costs can skyrocket. Energy is the second-highest cost of operation, exceeded only by labour, in a typical ice facility. Flood lights illuminating the Broadway and University bridges will be disconnected during the day on March 29, and reconnected on March 30. This will disconnect a total of 16,400 watts from the electrical grid for an overnight reduction of 175.5 kWh - saving over 130kg in GHG emissions! Earth Hour is a chance to "unplug", something I usually only do when camping. I like having the chance to pause and reflect on how much using energy is part of my everyday life. I'm spending Saturday at Gardenscape, so my Earth Hour will be spent relaxing at home and dreaming about spring by candlelight. 25 Acts of Energy Conservation - Earth Hour to Earth Day. Go to the website for daily acts of conservation, campaigns and more. 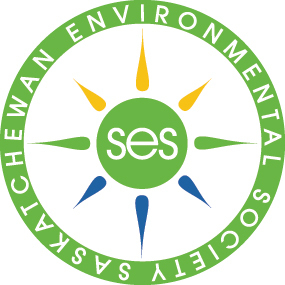 http://www.environmentalsociety.ca/main/programs/25-acts/ Saskatchewan schools take action to conserve energy, water or reduce waste and enter to win up to $1000 for their school. This contest is offered by the Saskatchewan Environmental Society and sponsored by SaskEnergy. Earth Hour will be recognized by the Saskatoon Fire Department this year by turning off all non-essential lighting and equipment between 8:30pm and 9:30pm on March 29th. There are nine Fire Stations and a Training Development classroom and office facility that will take part in this event. Our family loves board games but seems to only have time to play them during Christmas holidays and when camping. During Earth Hour we now have added a tradition to play a board game by candle-light! The kids are now teenagers, so this 'cool factor' helps convince them to spend a few precious moments with their parents on a Saturday evening!